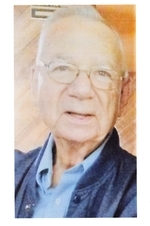 Forrest Parker Obituary - Newport, Arkansas | Jackson's Funeral Homes Inc.
Mr. Forrest C. Parker of Newport, Arkansas, departed this life on Thursday, July 27, 2017, at the age of 88. He was born August 28, 1928 in Augusta, Arkansas, the son of Tom and Sarah Hettie (Vanzant) Parker. In 1943, he worked on a riverboat named, “The Greyhound”, traveling up and down the White River. Mr. Parker was a United States Army veteran, and worked on bearings for first Northless atomic submarine, and the first dyes that formed the plastic seals in Coke bottles. Mr. Parker began his working career at Halstead Copper Factory in Wynne, and was a machinist and maintenance supervisor for Ever, Norandal, and Capital Wire for 47 years. He was a huge horse racing fan, and owned several racehorses himself several years. Mr. Parker also enjoyed fishing, trot-lining, and going to Tunica. He was preceded in death by his wife, Janie Mae (Roach)Parker; one son, Robert Parker; one brother, Henry Clay Parker; one sister, Tommie Marie England; and his parents. Mr. Parker is survived by one son, Tom Parker and wife, Terri of Centralia, Washington; three daughters, Linda Harris and husband, Richard, of St. George, Utah, Susan Cover and husband, Millard, of Marshall, Texas, and Patricia Gail Wisdom and husband, Calvin, of Hardy, Arkansas; one brother, John Wesley Parker of Ronald, Washington; seven grandchildren; and fourteen great-grandchildren. Graveside services are 2:00 p.m. Wednesday at Balch-Johnston Cemetery.